Wisconsin Charm will be participating in the following events and shows. Wisconsin Charm is proud to be a sponsor with the donation of a sterling silver sturgeon pendant and sturgeon ring. Come and see the Great Lakes Trophy Fish Rings at booth 34. Paul's interview with Emily Deen. Sawyer Park Boat Launch, Sturgeon Bay, WI. WIsconsin Charm is a sponsor of the tournament and will be providing two 14k gold bass rings to the Grand Prize winners as well as two sterling silver bass rings for promotional purposes. For more information on this year's tournament please go to www.sbobt.org. Shopko Hall, Green Bay, WI. Wisconsin Charm will once again have a booth displaying our Great Lakes Trophy Fish Rings. For more information about the show including entrance fees, hours of operation and parking please go to www.greenbaysportshows.com . Sawyer Park Boat Launch, Sturgeon Bay, WI. Wisconsin Charm is a sponsor of the tournament and will be providing two 14k gold bass rings to the grand prize winners of the tournament and two sterling silver bass rings for promotional purposes. 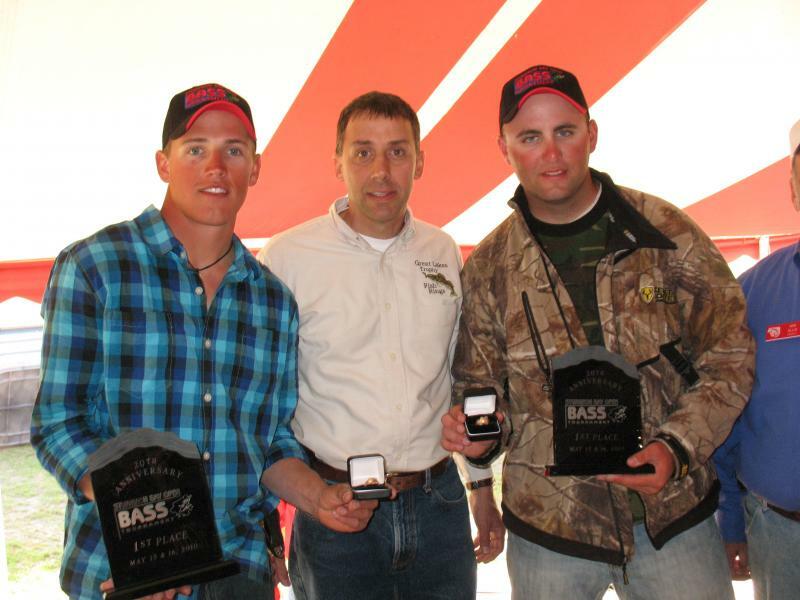 2010 SBOBT Winners Troy Norman and Andrew Carlson (of Canada) with owner, Paul Spanbauer. Two Rivers, WI. Wisconsin Charm provided a sterling silver carp ring to the Champion, Josef Settele. For further information please see http://sites.google.com/site/wicarpchamps/Home . Sawyer Park Boat Launch, Sturgeon Bay, WI. Wisconsin Charm is a sponsor of the tournament and will be providing two sterling silver Great Lakes Trophy Smallmouth Bass Rings as prizes. Below is a photo from a prior sponsorship. For more information on the tournament please go to www.sbobt.org. 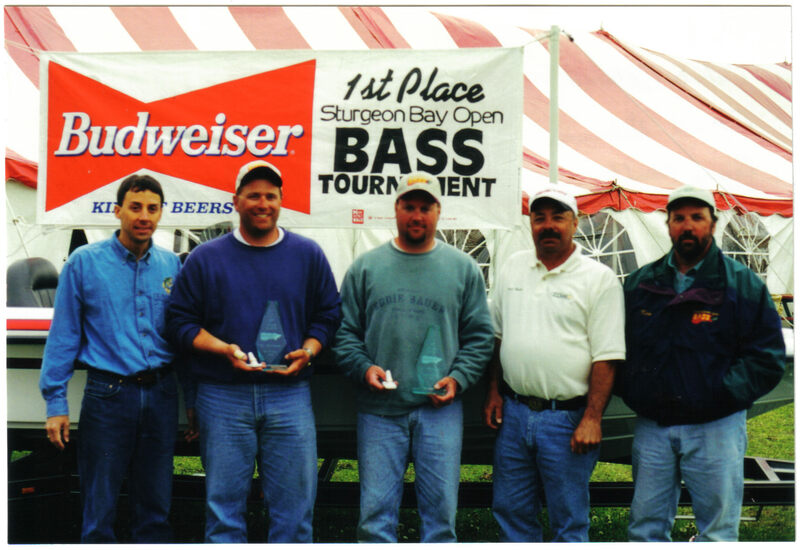 Photo of the rings donated as prizes for the 2009 Sturgeon Bay Open Bass Tournament. Wisconsin Charm is proud sponsor of this event with the donation of a Silver Muskie Ring as a prize. Wisconsin Charm was a proud sponsor of this event with the donation of a Silver Chinook Salmon Ring as a prize. Wisconsin Charm was a proud sponsor of this event with the donation of a Silver Sturgeon Ring as a prize. Shopko Hall, Green Bay, WI. Wisconsin Charm will have booth #43 displaying the Great Lakes Trophy Fish Rings. For more information about the show including entrance fee, hours of operation and parking please go to www.greenbaysportshows.com. Congratulations to Janet Benak who won the Smallmouth Bass Ring from entries at the show.